Returning to the historic Cook’s Valley Campground, just 3 hours north of the San Francisco Bay Area from July 14-16, 2017, Northern Nights Music Festival is celebrating its 5th year of bringing incredible beats, river swims and positive vibes to the Emerald Triangle! NNMF is humbled and excited to announce that last year’s beloved and trailblazing Medical Marijuana Zone will not only be returning but is expanding into a full state-of-the-art “Tree Lounge” - an exclusive, innovative and educational oasis in the center of the festival. Smoke a bowl in the main bowl to headlining artists such as notorious Hip Hop collective Living Legends, Jai Wolf, Cherub, Big Wild, G Jones, Dirtwire, Random Rab,Justin Jay’s Fantastic Voyage, and 90+ more amazing acts and experience the magic of music, swimming and dancing amidst one of the most sought out destinations in the world - the California Redwoods. The game is changing for how festivals will approach cannabis use in the future and Northern Nights is continuing their pioneering efforts to remove the stigma around Cannabis use, enhance the experience, and honor the incredibly rich Cannabis history of the festival’s region. The Cannabis Tree Lounge highlights Humboldt, Mendocino and Northern California cultivators that have been perfecting their trade behind the Redwood curtain for generations who are coming forward at the end of cannabis prohibition. The Tree Lounge will also include education, sampling, interactive installations, refreshments, meet-and-greets with headliners plus performances throughout the day and night on the Royal Gold Tree Stage! While not everyone can glamp - NNMF is showcasing the importance of self care for everyone with an exclusive “Yoga in the Grove” program curated by Bloom Farms. Sustainably farmed and responsibly made Bloom Farms seek to bring safe and enjoyable medicine to patients who use medical cannabis as part of a healthy, fulfilling lifestyle. Also available in the Tree Lounge will be North Bay Nectar providing cannabis infused and hemp infused massage oil for 6,000 massages with their innovative premiere cannabis infused body products made with organic ingredients. Don’t have a medical marijuana card? From the comfort of your own home, attendees can get a cannabis recommendation online from PrestoDoctor at a discounted rate for NN ticket holders. Just email info@northernnights.org for your code. Or PrestoDoctor will be onsite to provide recommendations at regular rates. Arriving with a current card also has the advantage of expedited entry into the lounge. Outside of the relaxing oasis of the Tree Lounge, the 5th Annual Northern Nights has curated exceptional experiential offerings including a new “Purple Nights” Art Gallery showcasing the works of the finest borosilicate glass artists from around the world. 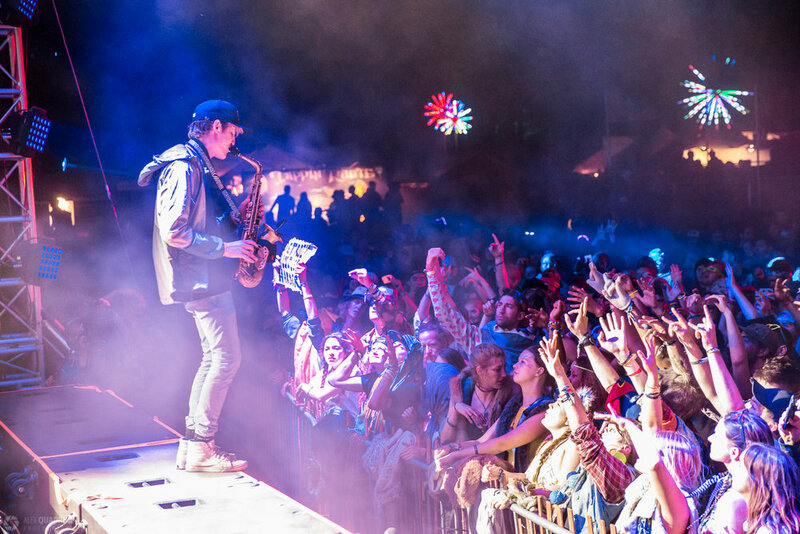 Beachside dance parties, afternoon river swims, a diverse lineup of internationally renowned and breakout musical and mural artists, and world class production in an intimate setting make NNMF the perfect destination for city revelers to experience farm to fest. NNMF encourages all participants (18+) to activate their souls and smiles for three unforgettable days - no matter the path, you’ll find a home for the weekend in the majestic forests of NorCal. 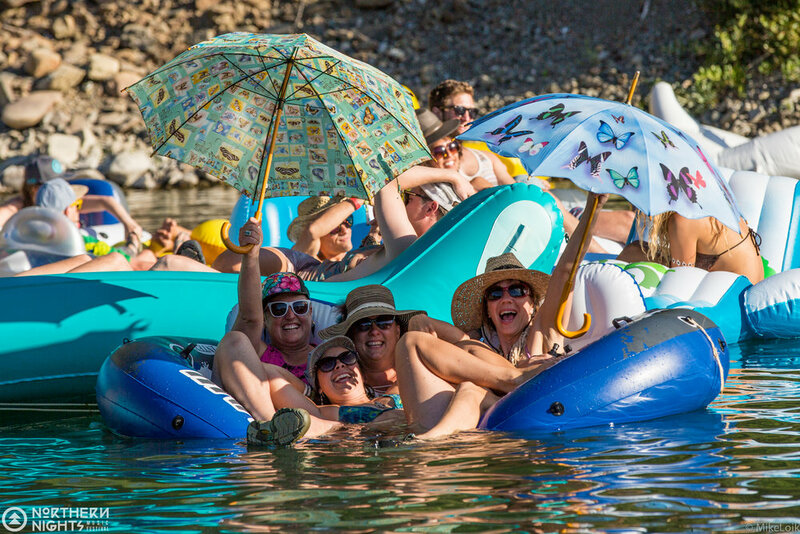 Dance, swim, run or float your way to The Emerald Triangle next month for an experience unlike any other - Tickets for Northern Nights Music Festival are on sale now! A three-day celebration of music, art, food and local culture, the annual Northern Nights Music Festival (NNMF) takes place every third weekend in July, this year falling on July 14th-16th. Now entering its fifth year, NNMF has created its home along the South Fork Eel River at Cook’s Valley Campground, 3.5 hours north of San Francisco at the intersection of Mendocino and Humboldt counties. With a passion for celebrating emerging underground music and featuring the most sought-out producers and DJs from around the globe,the luminaries behind NNMF, San Francisco-based BLAP Productions and Humboldt’s World Famous Productions, first came together in 2013 to achieve their vision. As their vision - and the festival - grew, the team welcomed production houses EPIC (Chico), Burningleaf Productions (Humboldt), Eye Heart SF (San Francisco), and Euphoric Styles (Santa Cruz), who collectively strive to sustain NNMF as a premiere destination experience. Offering attendees a unique opportunity to fully embrace a truly Californian experience. Aligning with the history and tradition of previous festivals in the region, a portion of NNMF proceeds from ticket and beverage sales are donated to the Mendocino and Humboldt school districts, nonprofits, and environmental groups.